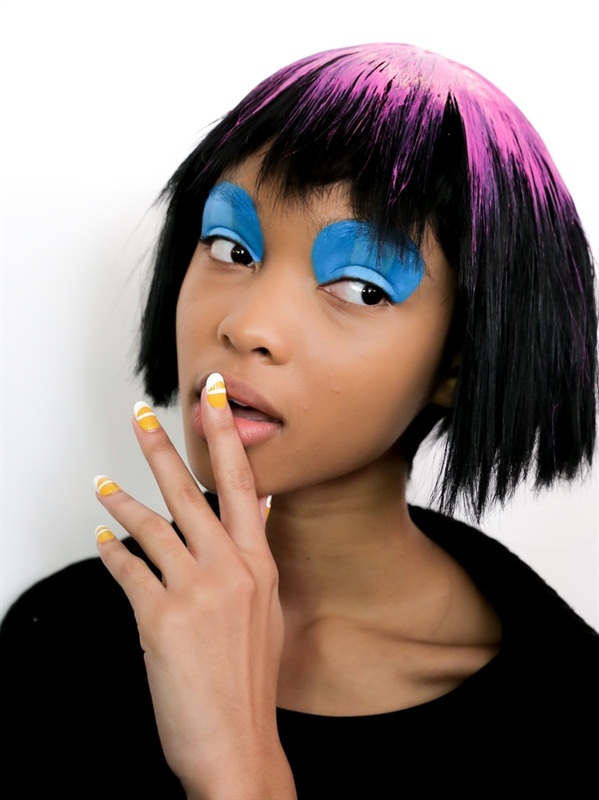 OPI’s second Fashion Week collaboration with lead nail artist Miss Pop led to on-trend nail looks and twists on old favorites. 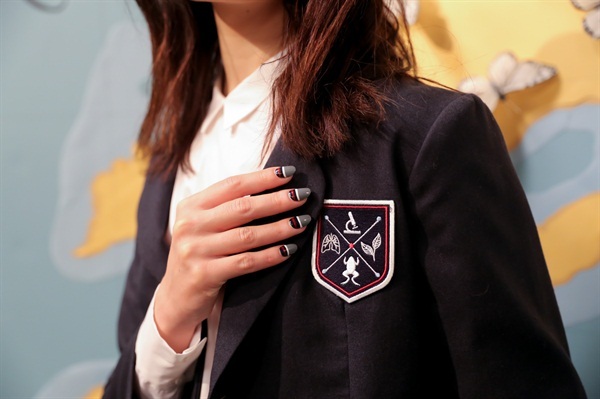 Manicurists got a lot of mileage out of OPI’s Matte Top Coat at the NYFW shows. 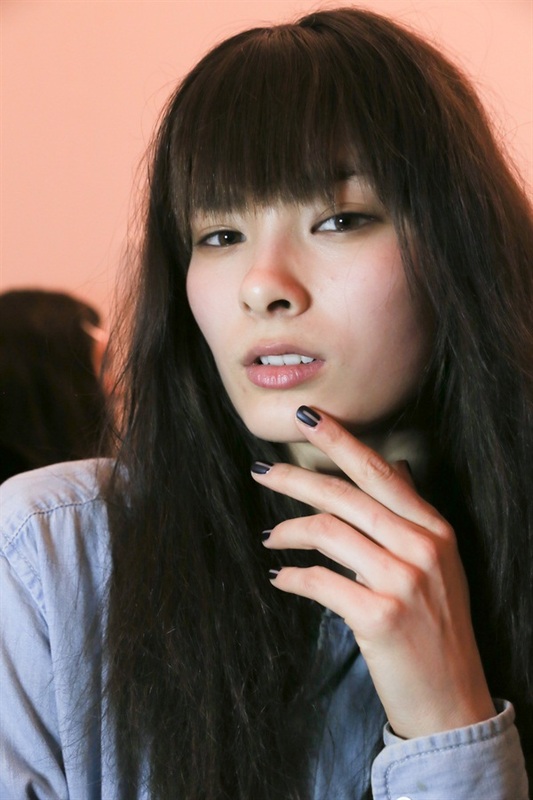 Matte nails were the perfect finish at BCBGMAXAZRIA, Charlotte Ronson, and Marissa Webb. For the Charlotte Ronson look, matte top coat made for the perfect nail art design, providing a contrast between shiny and matte. To get the design, apply OPI lacquer in Ink, then add one coat of RapidDry Quick-Dry Top Coat and allow to set. Lastly, apply matte top coat to the top half of the nail only using three vertical brush strokes. To make sure the center line is straight, stroke two more times horizontally from left to right. While nudes are always popular for NYFW, this twist on a barely-there ombre gave the palette and technique a refresher. Miss Pop and the OPI team used three different lacquers to make a brush stroke effect look at Clover Canyon. After applying a base coat, use a coat of Dolce De Leche to paint nails. Then, painting one nail at a time, stripe the center of the nail with Taupe-less Beach. Wipe excess polish off the brush so you can see most of the bristles and stroke up and down the middle of the nail, leaving a gray effect. Repeat the same technique with You Don’t Know Jacques and stroke up and down on the right side of Taupe-less Beach. The French manicure also got a reboot thanks to OPI. 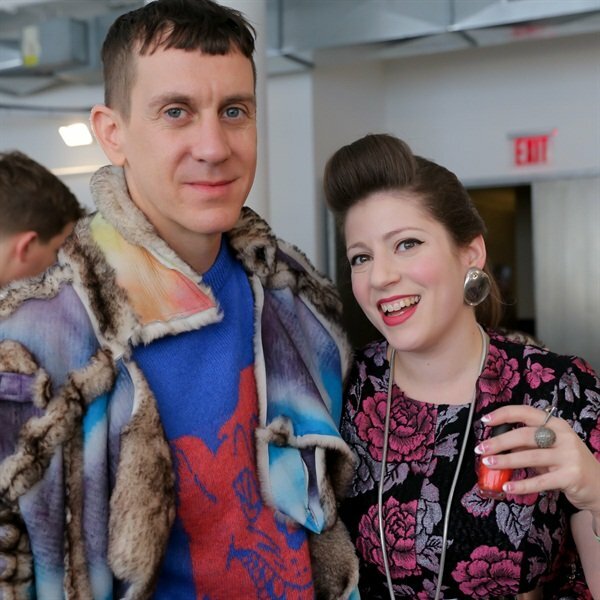 While the nail brand did send a more traditional two-toned French down the runway at Houghton, they completely re-imagined the look for boundary-pusher Jeremy Scott. Manicurists mixed their own sheer shades by pouring out 1/10 of a bottle of OPI Top Coat, then adding in any of the following OPI lacquers and shaking until blended: No Room For The Blues, A Grape Fit, Short Stop, A Good Man-daring is Hard to Find, Need Sunglasses, and Life Gave Me Lemons. Apply two coats of the sheer mixture to the nail. Using a detailer brush, paint a French tip with Alpine Snow, creating an elongated and rounded smile line. Turn your hand to the side so that you are painting horizontally and paint side-to-side in the center to create a shoe strap. Seal with top coat and you have a Mary Jane shoe! 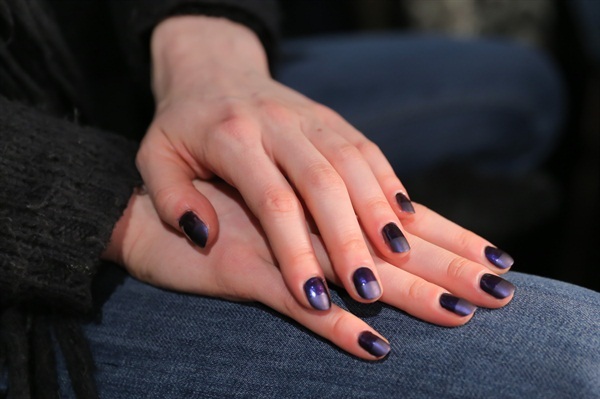 The trend of negative space on the runway continued with OPI’s collaboration with Marissa Webb. The team created a matte nail with a sliver of negative space down the center. Bring the runway to life by using a strip of tape and placing it in the center of the nail. Apply two coats of Light My Sapphire and allow for polish to set. Smooth with top coat. Add Matte Top Coat over regular top coat to remove shine. Take tape off to reveal a little skin. 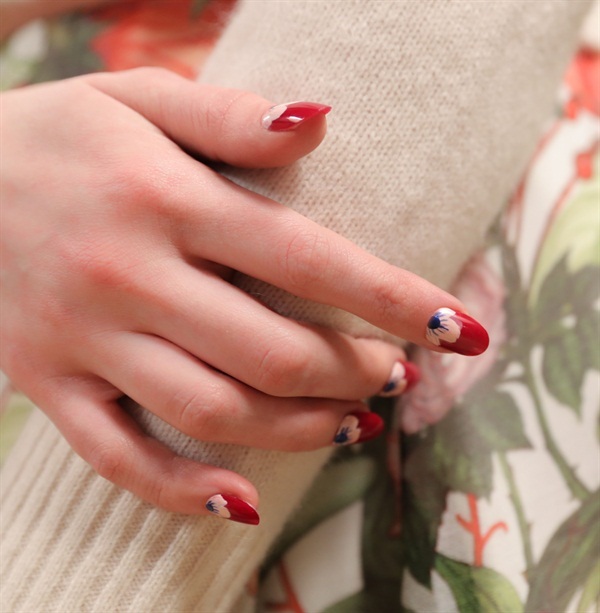 For Rachel Antonoff, Miss Pop and the team brought three nail art looks to life. A color blocked striped nail, a floral, and even braces were the designs that walked the runway. To get the floral look, use two coats of Malaga Wine over base coat. Apply Alpine Snow in three short strokes on the base of the nail, one left to right, and the other right to center. Go over the Alpine Snow strokes with Hopelessly in Love. Dip a dotter into Blue My Mind and place a dot to create the flower in the center at the base of the nail. Use the dotter in the same color to paint little wisps around the rim of the dot to complete the flower. Finish with OPI Top Coat. See all of the nail looks from OPI here.